Why Guy: Why is there a bunker along I-80? We've all probably driven past this site many times and didn't even notice it. An entryway built into a rock formation. Is this some kind of a secret doorway to a military hideout? AUBURN, California — Today's Why Guy question comes from Teran Wargin of Placer County. "I got a why question for ya! Why is there a bunker type location on I-80 E just before Maple?" Bunker? Teran sent us a photo of the location along I-80 in Auburn. So, we're on it. We've all probably driven past this site many times and didn't even notice it. An entryway built into a rock formation. Is this some kind of a secret doorway to a military hideout? A Placer County bomb shelter? Something built around World War II? So, what's the deal? We asked Cal Trans representative Raquel Borrayo who said it's not something Caltrans uses or maintains. So we went to the city of Auburn. City plans from the 1950's say it was previously used as a storm drain. Walt takes a look as to why there's a bunker along I-80. So here's what the secret hideout looks like with the doors open, not much of a hideout. 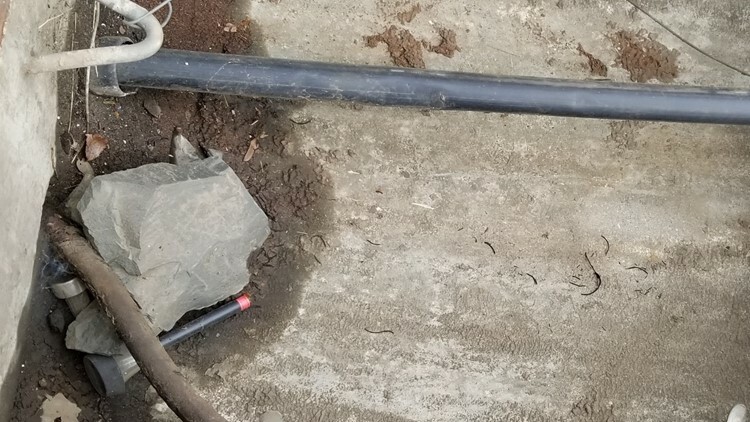 Looks like some type of covered electrical wiring with black PVC pipe or a drain running north-south. No military bunker. It'd be a tight squeeze for even two soldiers, or two Placer County supervisors hiding out. So, next time you're almost to Auburn on I-80 and nearing that old railroad bridge up ahead, quickly look right to that old steel doored bunker and remember how it wasn't a bunker at all. Why is Sacramento boring to Bay Area people?